Bluffy Lake is one of the best walleye and northern pike fishing lakes around. It is a series of lakes 30 miles long. Enjoy the peace and beauty of our lodge outside of Ear Falls, Ontario. Bluffy Lake Lodge is the only lodge on Bluffy Lake. The lodge was a fly-in fishing camp for many years with very limited road access. In 1995 logging roads made it road accessible to Bluffy. Now you get the remote quality walleye and northern pike fishing with the feel of a fly-in lodge. Our lodge has clean, comfortable, fully equipped cabins offering waterfront views. 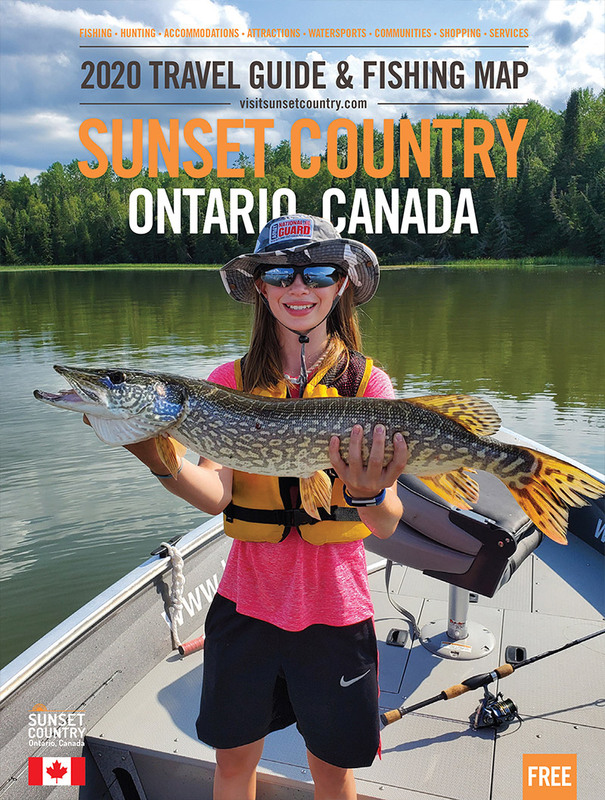 Package plans include a 16' boat with a 15hp motor and give you a great Canadian vacation with the best opportunity for successful fishing and hunting. We're not Bluffying - fishing is great at Bluffy Lake Lodge. Cabin Rentals (Housekeeping): All of our cabins are equipped with electric fridges, propane stoves, and a full complement of kitchen utensils, pots, pans, and outdoor grills. Walleye: Bluffy Lake offers some of the finest walleye fishing in Northwestern Ontario. Northern Pike: Seasoned fishermen looking for a trophy northern, novices looking for lots of action, then we have the place for you! Moose: If you are looking for moose hunts then you’ll find the hunting experience of a lifetime at Bluffy Lake Lodge. Black Bear: Bow or rifle, pre-baited sites, boat & motor, and accommodations we have the bear package for you. Grouse: Grouse Hunting and Fishing Packages are also available for the same cost as our 6-day Fishing Packages.